Great Clips stylist comes to the rescue! 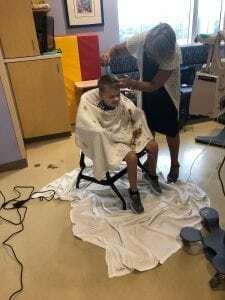 When Child Life reached out saying we had a patient at Johns Hopkins All Children’s Hospital for over forty days who needed a haircut, we reached out to our Children’s Miracle Network Hospitals partner Great Clips who sent a stylist to the rescue at no charge. We love our Children’s Miracle Network Hospitals partners!